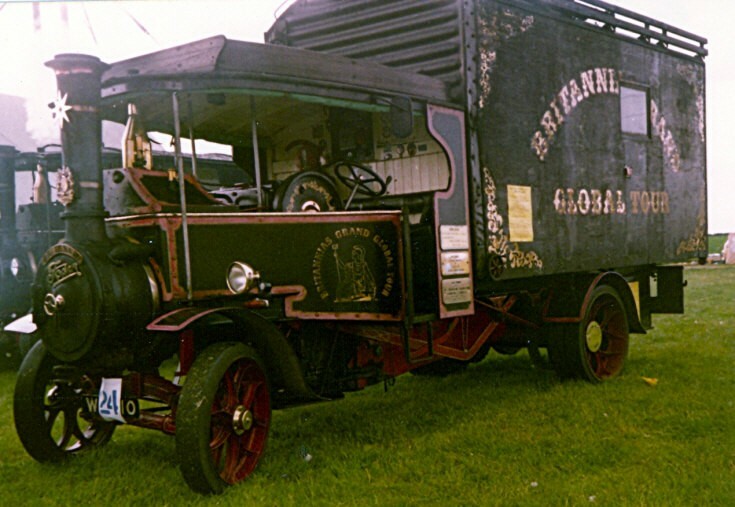 This Foden has been around the world, Britannias Grand Global Tour. This is a very special engine my dad (David Edward Young) help to rebuild this Steamwagon as an apprentice at wingham engineering, then joined and went on her grand global tour as engineer/stoker, later joined by my mother (Savannah Heath), until it's unfortunate end in Australia. Very proud son. Added by Scott on 13 November 2016.